First, it was Andrew Bolt, writing “There is no ‘us’ any more, as a tidal wave of immigrants sweeps away what’s left of our national identity,” in his now infamous article, where he targets Australians from Chinese, Cambodian, Indian and Jewish heritage. Then, it was Sky News, giving airtime to far-right extremist Blair Cottrell, to offer his views on immigration. Now a Senator calls for a return to the White Australia policy. These are incidents of diverse magnitude, of course. Bolt and Sky News are only preaching to the converted and even Senator Anning can’t seriously claim to represent Queensland. If anything, he represents only 19 citizens of the state – as many as the votes he got, effectively managing to gain a seat as a result of a “glitch” in the otherwise well-functioning electoral system of Australia. Still, these isolated incidents point to a trend – there is an alarming frequency of racist, xenophobic, crueless rhetoric views being expressed, playing into the fears and concerns of Australians. Greeks have been at the receiving end of this toxic rhetoric for years. We should be the first to come out and take a stand against it. To say that there is indeed an “us” – which includes everyone, regardless of cultural background, language, race, religion, ethnicity, gender or ability. Whenever anyone expresses nostalgia for the pre-Whitlam years, we need to stress that Australia’s miraculous growth of the past 40 years has happened largely due to the country’s migration policy, not despite it. Political and community leaders in the country have been quick to dismiss Senator Anning’s speech; his political future does not look that bright, at the moment. Still, more has to be done. 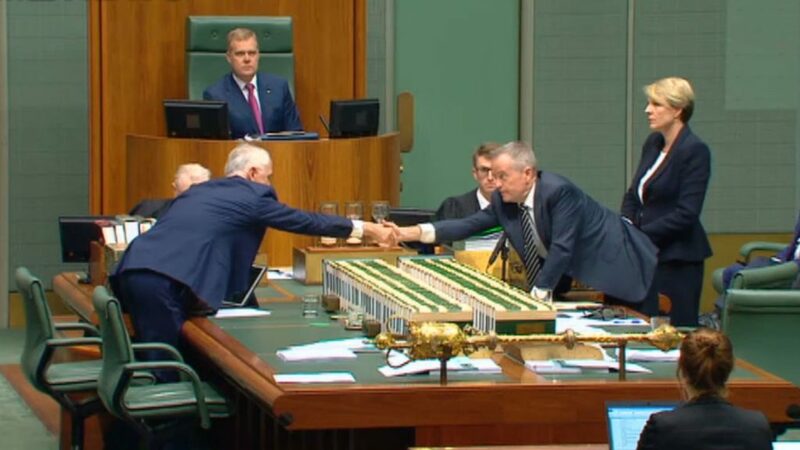 It is not enough for the PM and the leader of the Opposition to shake hands and condemn racism, reaffirming their commitment to multiculturalism. They have to actively show that they do not endorse White Australia. Closing down the offshore detention camps and bringing asylum seekers to the country would be a good start.